A farm boy from Tatooine, Luke Skywalker becomes a hero when he trains as a Jedi and uses the Force to help save the galaxy. The force is strong with Princess Leia! Join the Rebellion and put your Jedi art skills to the test by filling in this coloring page online or printing it out to color later. After you're done, blast off on even more coloring adventures featuring other Star Wars characters like Han Solo, Luke Skywalker, and even Chewie! 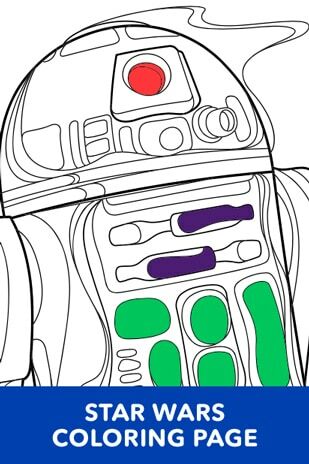 Make a little Artoo Detoo with this kids coloring page featuring your favorite droids from Star Wars! R2-D2 is ready for a colorful adventure. Color online or print the page out for a galaxy of fun later. Once you're done, use the force to find coloring pages filled with Rey, BB-8, and other Star Wars characters. 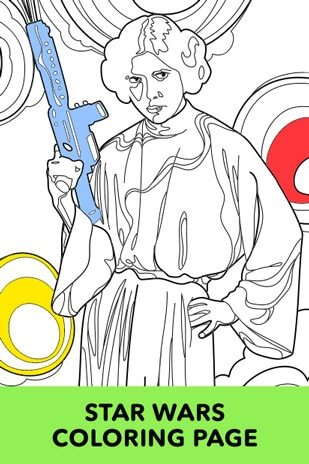 The Force is strong with this Luke Skywalker coloring page. Kids will have a blast flying into action with their favorite Jedi. Get started online or print it out and take it anywhere. 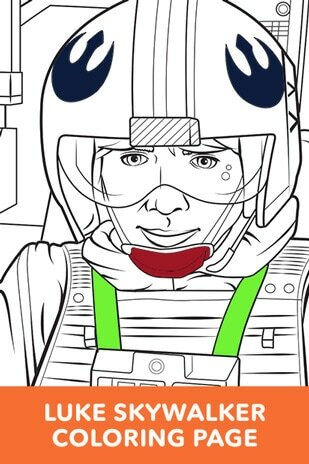 Once you've completed your mission, return for more coloring pages featuring more of your favorite Star Wars characters.